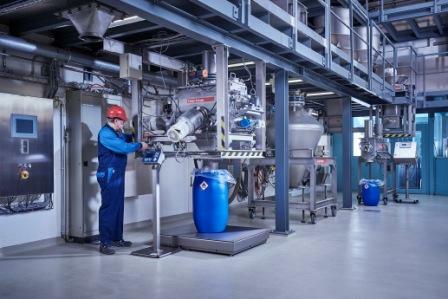 Gericke, Regensdorf, Switzerland, has extended its established range of pneumatic conveying systems with the completion of its vacuum conveying product line. The company emphasises that vacuum can be used to great advantage for conveying dry powder products over distances of up to 30m through dedicated pipe systems, and for many different materials. When producing food, pharmaceuticals and chemical products there are additional demands on the highest possible degree of safety as well as for hygiene and operation. These conveyors have been developed as an answer to the strict requirements of operational safety and hygiene in these industries. The conveyors are ATEX dust certified, while some versions are additionally gas certified. All conveyors are available with either an ejector driven vacuum pump or with a mechanical pump.